When Zebra launched the PAX4 print engine, it became a great selling product with a host of great features. Many customers relied on this printer as part of their printer applicator systems. Of course, time marches on and the PAX4 was discontinued in 2013 to be replaced by the current ZE500 model. In line with Zebra’s policy of supporting products for five years after production ends, support for PAX4 will come to an end on November 15, 2018 – yes later this year! The ZE500 print engine is better in just about every way, so it is a really good upgrade for PAX4 users – indeed, at ID Technology, we have upgraded the printing capabilities of hundreds of customers over the last few years. 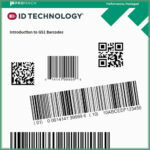 ID Technology is the North America market leader for label printer applicators and Zebra’s biggest customer for thermal print engines so we are perfectly positioned to help you with the upgrades. If your company is one of the many that still rely on the PAX4 printer, this is a great time to consider upgrading, since spare parts and support is going to get harder to find. Get in touch with your ID Technology salesperson today or you can contact me directly at dholliday@idtechnology.com. We can go over all the options and help you get upgraded the easiest and most economical way.